One thing is certain: December 11 will see both resplendent moonshine and a lunar eclipse in Telangana. That's because in the Chandra' vs Chandra' electoral battle, only one of them - K Chandrasekhar Rao or N Chandrababu Naidu - can shine when the results are counted. 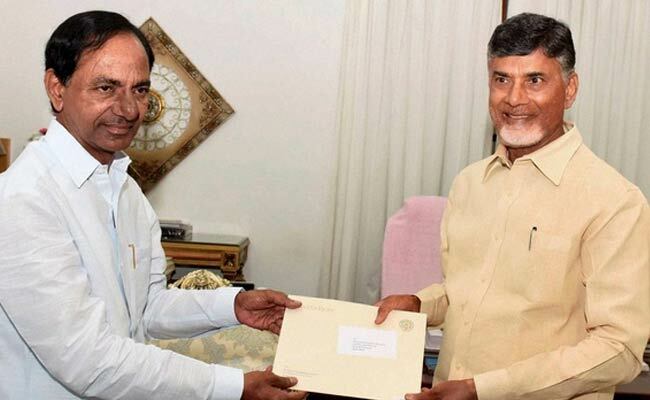 On September 6, when KCR dissolved the Telangana assembly eight months ahead of schedule, Naidu was not seen as a player in India's youngest state. Since 2014, Naidu's Telugu Desam Party or TDP has weakened drastically in Telangana with 12 of his 15 MLAs crossing to KCR's Telangana Rashtra Samiti (TRS) and one to the Congress. Its diminished cadre supports the notion of it as a mainly Andhra party. Its lack of political heft is obvious in the 13 seats it is contesting now as part of the People's Front alliance with the Congress (Telangana elects a total of 119 legislators). This is two less than the number it won four years ago, as KCR pointed out in an exclusive interview to NDTV . For his campaign, Naidu is restricting himself largely to Hyderabad and Khammam, two districts that have a sizeable Andhra population. His campaign is by and large defensive, explaining he is not anti-Telangana and brandishing what he did to promote the IT area of Hyderabad. "You tell me, did I ever act against the interest of Telangana? I will never do that. I developed Cyberabad and I always want to see Hyderabad grow and prosper,'' he has said in every election speech. But despite his supporting cast status, Naidu finds himself at the heart of the Telangana campaign. Chandrababu Naidu being part of the Prajakutami (People's Alliance) helps us improve our margin of victory,'' said KCR's son and politician K T Rama Rao, to NDTV. Since 2014, Chandrababu Naidu's Telugu Desam Party has weakened drastically in Telangana with 12 of his 15 MLAs crossing to KCR's Telangana Rashtra Samiti. The TRS believes Naidu is the opposition's Achilles heel which is why, midway into its campaign, it has written a huge role for him into its narrative. It realised that its strategy of "KCR vs Nobody" may suggest overconfidence and arrogance. Political campaigns need antagonists and making Naidu the target, the TRS believes, identifies a local villain, caters to the Telangana sentiment and carries sufficient ammunition to hurt the opposition, mainly by reiterating that Naidu opposed the bifurcation of his home state of Andhra to carve out Telangana as a new state in 2013-14. The 'Target Naidu' strategy has helped the TRS position his Andhra policies as inimical to Telangana interests. "Naidu is playing silly politics and I have to counter that,'' KCR said, when asked by NDTV about why Naidu gets so much attention in his speeches. He also professes that should the opposition win the election, Naidu will rule Telangana by proxy. KCR has called the TDP chief 'a Telangana drohi', traitor, backstabber, wicked person'' while declaring that a win for the opposition will mean that decisions regarding Telangana will be taken in Amaravati and in Delhi. The intention is to stoke Telangana pride and self-respect. It is a strategy that has a reasonable chance of success because the struggle for statehood rode on the sentiment that Andhra rulers were hurting Telangana's interests. Which is why how the core Telangana districts like Warangal and Karimnagar react to the optics of Naidu campaigning in Hyderabad will be substantive factors in next week's results. Will this rigorous attack on Naidu cost the TRS the Andhra settler vote of around 14 per cent? Unlikely that all of it will accrue to the opposition alliance because along with a significant population from coastal Andhra, a large number of people from Rayalaseema as well as those from the Kapu community live in and around Hyderabad. 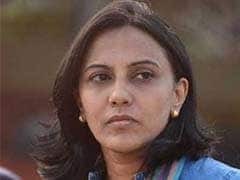 These groups are loyal to politicians Jaganmohan Reddy and Pawan Kalyan, who are adversaries of Naidu. So looking at the Andhra settler vote as a homogeneous vote will be erroneous. Moreoever, both Jagan and Pawan have a decent equation with KCR. While the stakes are high for KCR, they are even higher for Naidu. A loss in Telangana will be a serious setback to his plans to build an anti-BJP front nationally. Already Naidu already has burnt his bridges with the BJP and Pawan Kalyan, besides a long-running feud with Jaganmohan. An additional foe will not make his job any easier.